From Portland to Pittsburgh, it’s likely that every city in the U.S. with more than 1 million people has made its case to Amazon to locate the company’s second headquarters there. At least, hopefully they have already, because today—if you haven’t heard—was the deadline to apply. 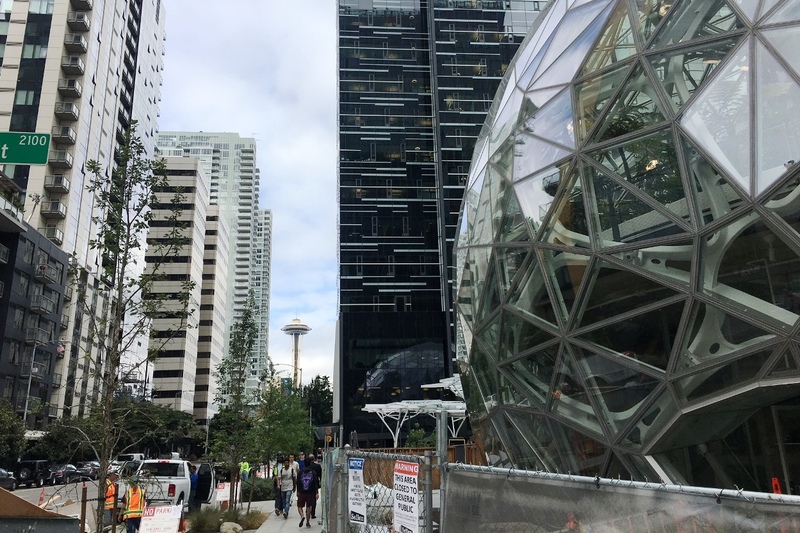 Amazon sent North America into a frenzy after announcing plans to build a second headquarters (which it calls HQ2) outside of Seattle, bringing with it tens of thousands of jobs and billions of dollars in economic development benefits. Like candidates on “The Bachelor,” cities have spent the last month expounding on the reasons they should be selected. “Like Henry Ford and Berry Gordy before them, today’s Motown residents have made their impact on the world, and have made Detroit one of the fastest growing hubs for entrepreneurship, technology and the arts in America—as well as its coolest city,” Chris Rizik, the CEO and fund manager of Renaissance Venture Capital Fund, wrote in a post for Xconomy. Texas cities such as Dallas have touted their easy access, employee talent, and tax-friendly environment. “The city’s moderate climate and business and tax-friendly mindset has already attracted 21 Fortune 500 Companies to place their headquarters in Dallas, and that doesn’t include the other technology companies that have a major presence in Dallas because of its competitive cost of living, access to talent, the largest arts district in the US, and the largest light rail system in the country,” Trey Bowles, CEO of the Dallas Entrepreneur Center, wrote for Xconomy. The parameters Amazon will use to assess the candidates are pretty broad: cities with at least 1 million people; a stable and friendly business environment; an urban or suburban area that could attract tech talent; and creative thinkers, in regard to real estate. Tax credits, grants, and other incentives will of course play a role in Amazon’s decision, but access to tech talent that Amazon needs to hire tens of thousands of workers may play a bigger role. Talent is one reason Moody’s Analytics named Austin as the most likely metro area to land HQ2. Besides already having countless startups and large IT firms such as Dell, Apple, and IBM, Austin and its surrounding areas also have a higher rate of college-educated workers compared to the national average (43 percent, versus 30 percent), Moody’s says. The Austin Chamber of Commerce announced that it applied yesterday on Twitter. Rounding out Moody’s top 10 metro areas were Atlanta; Philadelphia; Rochester, NY; Pittsburgh; New York; Miami; Portland, OR; Boston; and Salt Lake City. A few cities that were considered candidates decided to not even apply. Little Rock, AR, was a bit snarky about it, writing a break-up letter to Amazon. San Antonio, TX, meanwhile, remained a bit more serious in a three-page letter sent Oct. 11 to Jeff Bezos, which implies that San Antonio officials believed the city wouldn’t have been picked even if it did apply. San Antonio’s problem may not be with providing incentives, because the community has used tax breaks and cash grants to draw albeit much smaller businesses to town, including Easy Expunctions, InCube Labs, and CytoBioscience, among others. Rather, the San Antonio officials wrote that they think the winner may need to provide upward of $3 billion in incentives to lure Amazon. It’ll be at least a few months before Amazon reveals its selection—the company just lists “2018” as the date it will announce the pick. In the meantime, the leaders of chambers of commerce around the country will certainly be waiting by their phones with bated breath.